Below you can view all the condos for sale in the Pebble Brook subdivision located in Noblesville Indiana. Listings in Pebble Brook are updated daily from data we receive from the Indianapolis multiple listing service. To learn more about any of these condos or to receive custom notifications when a new property is listed for sale in Pebble Brook, give us a call at 317-308-8198. Entire home is a must see! MLS#21629745. F.C. Tucker Company. 2 car garage w workbench & pull down stairs. MLS#21630368. CENTURY 21 Scheetz. Perfectly located and close to golf, shopping, and dining! MLS#21629282. F.C. Tucker Company. maintence, and more! Home wrrnty included. MLS#21628061. F.C. Tucker Company. No HOA = No Dues. 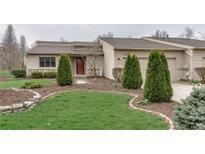 Great location & Noblesville Schools! MLS#21626824. Carpenter, REALTORS®. Beautiful Inside/Out. Buyer Warranty Provided, Invisible Fence. MLS#21625941. F.C. Tucker Company. Enjoy Your Own Private Built In Infrared Sauna. Home Warranty Included. MLS#21624263. RE/MAX Results. 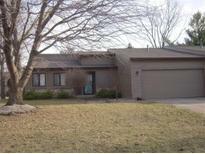 3 car garage, 2 decks, new windows, fresh paint inside & out-too much to list! MLS#21623687. F.C. Tucker Company. Photos shown may be an artist rendering, model home, or of the same model but located in a different Lennar subdivision due to current construction stage. MLS#21619480. CENTURY 21 Scheetz. Photos shown may be an artist rendering, model home, or of the same model but located in a different Lennar subdivision due to current construction stage. MLS#21615418. CENTURY 21 Scheetz. Photos shown may be an artist rendering, model home, or of the same model but located in a different Lennar subdivision due to current construction stage. MLS#21614924. CENTURY 21 Scheetz. Photos shown may be an artist rendering, model home, or of the same model but located in a different Lennar subdivision due to current construction stage. MLS#21615412. CENTURY 21 Scheetz. Photos shown may be an artist rendering, model home, or of the same model but located in a different Lennar subdivision due to current construction stage. MLS#21614902. CENTURY 21 Scheetz. Photos shown may be an artist rendering, model home, or of the same model but located in a different Lennar subdivision due to current construction stage. MLS#21611655. CENTURY 21 Scheetz. Photos shown may be an artist rendering, model home, or of the same model but located in a different Lennar subdivision due to current construction stage. MLS#21610418. CENTURY 21 Scheetz. Photos shown may be an artist rendering, model home, or of the same model but located in a different Lennar subdivision due to current construction stage. MLS#21610400. CENTURY 21 Scheetz. Photos shown may be an artist rendering, model home, or of the same model but located in a different Lennar subdivision due to current construction stage. MLS#21608640. CENTURY 21 Scheetz. Photos shown may be an artist rendering, model home, or of the same model but located in a different Lennar subdivision due to current construction stage. MLS#21608639. CENTURY 21 Scheetz. Photos shown may be an artist rendering, model home, or of the same model but located in a different Lennar subdivision due to current construction stage. MLS#21598114. CENTURY 21 Scheetz. Photos shown may be an artist rendering, model home, or of the same model but located in a different Lennar subdivision due to current construction stage. MLS#21597212. CENTURY 21 Scheetz. Photos shown may be an artist rendering, model home, or of the same model but located in a different Lennar subdivision due to current construction stage. MLS#21594720. CENTURY 21 Scheetz.